The stunning Harrington Grove Country Club is the exquisite focal point at Harrington Grove. Surrounded by miles of bushland and grassy hills, the Country Club is an exciting venue for casual dining, recreation, relaxation and community interaction. Designed to offer leisure and sporting facilities on a grand scale, it is the premier complex in Sydney's south-west. Set amidst gorgeous leafy surrounds, Harrington Grove Country Club is the ideal destination to do as much or as little as desired. Residents can choose to actively participate in recreation and sport, or alternatively opt to simply sit and enjoy the expansive views. The leisure and recreation facilities are reserved for residents and their guests. Meanwhile the excellent natural acoustics of the amphitheatre are perfect for outdoor entertainment, including local concerts with professional music and theatre performances. Harrington Grove Country Club boasts state-of-the-art facilities. Residents enjoy exclusive access to four tennis courts, two swimming pools and a state-of-the-art, fully-equipped gym. Rich elegant interiors with luxurious lounges and cosy fireplaces are juxtaposed with soaring ceilings and expansive glass walls opening to magnificent views. This is a welcoming retreat to catch up with friends and neighbours for a meal, relax in the lounge with a book, or just sit back and enjoy the breathtaking views. Members of the public are welcome to dine at Harringtons Bar + Grill from Tuesday to Sunday. Residents of Harrington Grove receive exclusive membership to the Harrington Grove Country Club and use of all its facilities. Or, take a peek at what you could be experiencing at Harrington Grove. 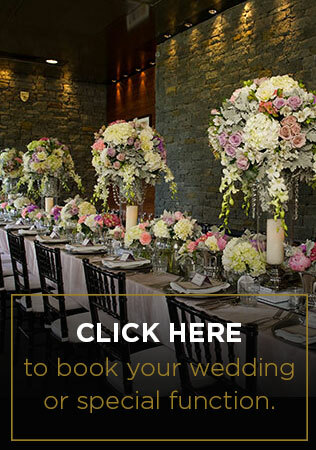 Harrington Grove Country Club is the perfect destination for weddings, functions and corporate events. The epitome of modern luxury, the Country Club combines modern comfort with the elegant charm of yesteryear. This facility is a multi-million dollar project that was purpose-designed by a team of award-winning architects to create a venue with outstanding leisure and recreational facilities. Click here to download the Harrington Grove Clubs Brochure.